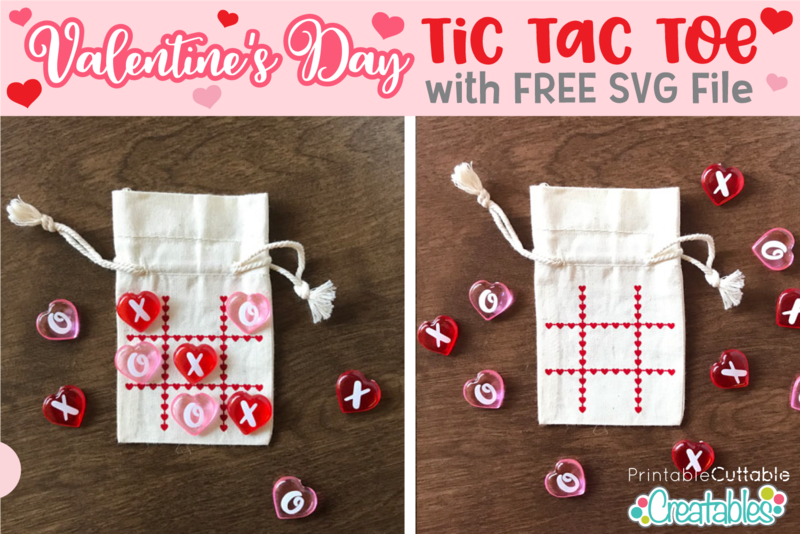 Valentine’s Day Tic Tac Toe Bag Game with Free SVG File! My 6 year old has been crazy about Tic Tac Toe lately. She draws tic tac toe boards on every square inch of paper she can find and challenges anyone who will play with her to a game (she’s gotten pretty good at it too!). 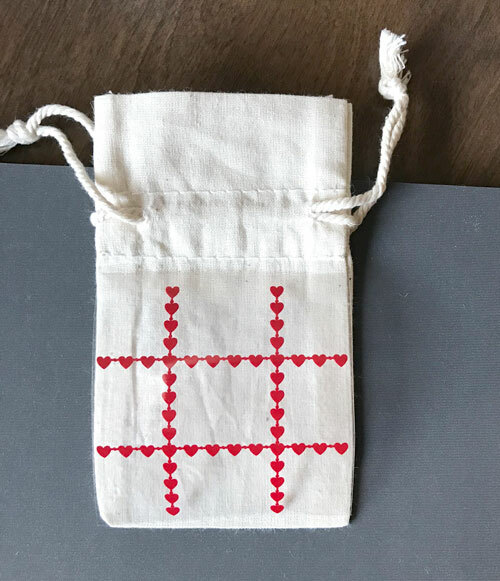 So as a Valentine’s Day gift, I’m making her this cute Valentine’s Tic Tac Toe bag that has been pretty popular in several online crafting groups. 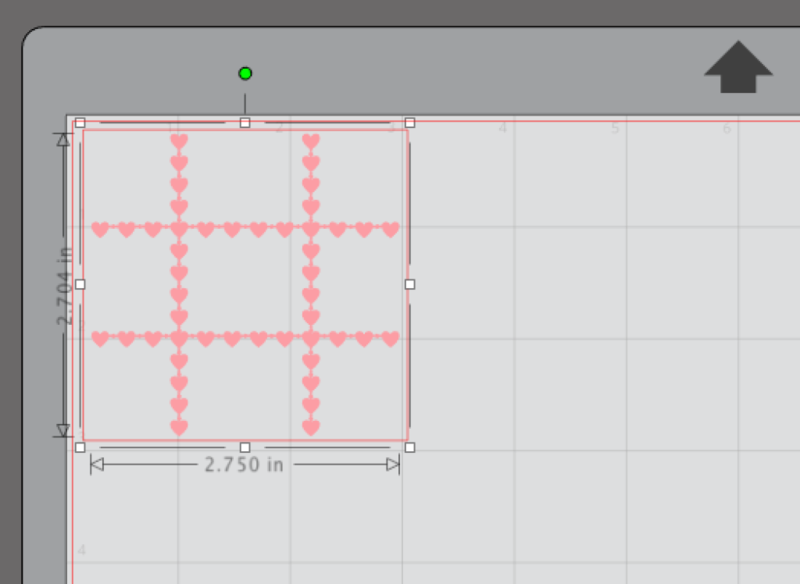 Of course, I had to sweeten it up a bit for Valentine’s Day, so I made the tic tac toe board from little hearts instead of plain lines. Read on to find out how to make your own Valentine Tic Tac Toe game! 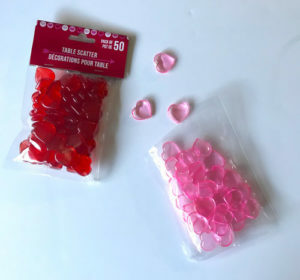 Game pieces such as Plastic Heart Table Scatter, Wood Squares, Blocks, Buttons, etc. 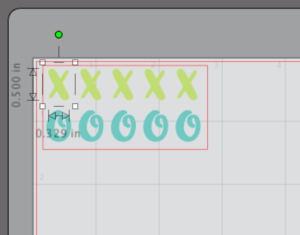 First, open the Tic Tac Toe SVG cut file in your cutting software. Resize the board to fit your drawstring bag with at least 1/8” space around the edge of the bag. My bag is 3” x 5” with an area of 3” x 3 1/4” of usable space beneath the drawstring stitching, so I sized my tic tac toe board to 2.75” wide and it fit perfectly. Cut your board from HTV and weed. Make sure to keep proportions LOCKED when resizing. Press the tic tac toe board to your muslin bag according to the instructions for your press, and type of HTV your are using. 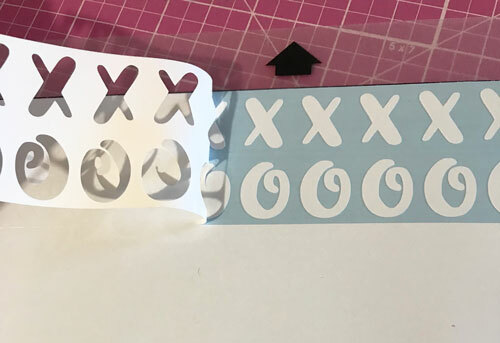 I used Siser EasyWeed and my Cricut Easy Press at 340 degrees for 30 seconds (with an additional 15 seconds on the back). In your cutting software, resize the X’s and O’s to fit your game pieces. 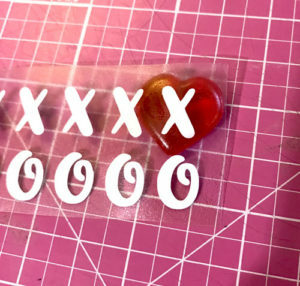 My plastic scatter hearts are about 0.75” so I made the X’s 0.5” tall and the O’s 0.5” tall. 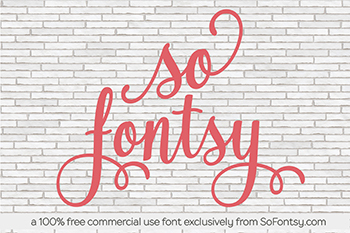 Make sure to keep proportions LOCKED when resizing. You will need 5 X’s and 5 O’s for a single tic tac toe game. Tip: Use a weeding box around your design to save vinyl and make weeding easier! Now you can just stick the X’s and O’s on your game pieces. 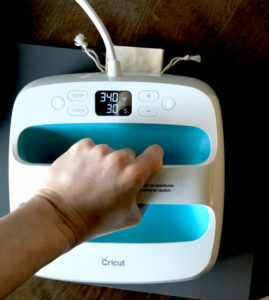 Give a quick burnish with your fingernail and peel the transfer tape. That’s it! Tuck your game pieces into the muslin pouch and cinch the strings closed. Your Valentine’s Day Tic Tac Toe game is ready for it’s first eager players! This little game came together way faster than I expected, so I went ahead and made one for my niece too! 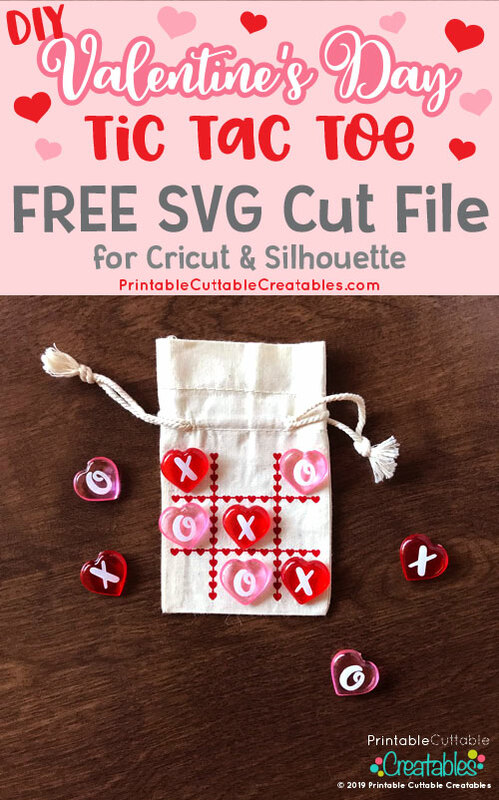 Head over to the Freebies section of my shop to download this Valentine Tic Tac Toe FREE SVG file and make some fun Valentine’s Day gifts for the tic tac toe enthusiasts in your life! Come share your finished projects, ask questions, and more in my Crafting with Printable Cuttable Creatables Facebook Group!